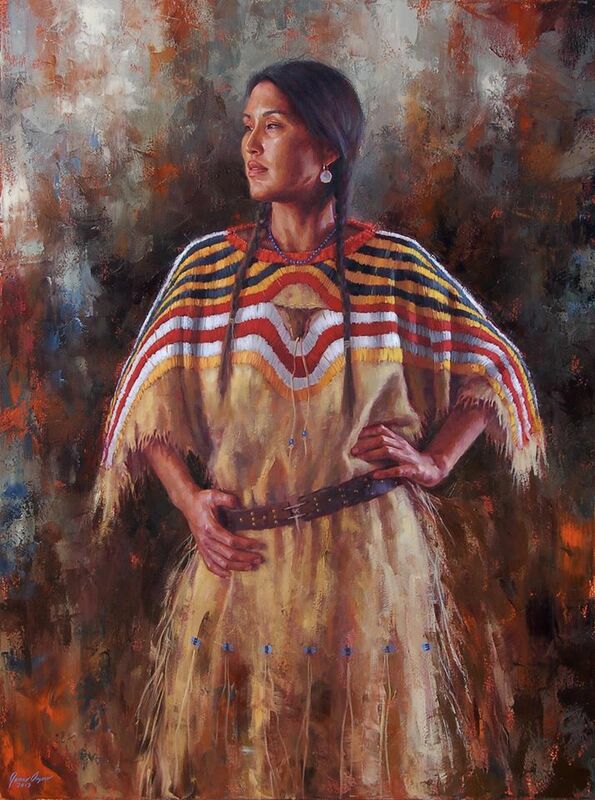 Shoshone Allure. | Dreams are the poetic expression of the soul. ← Beaver and the Mink I.
Exquisite… Truly love this masterful American painter. This entry was posted in 21st Century American Art, 21st Century Art, American Art, American Artists, Art, Art Collecting, Artists, Contemporary American Art, Contemporary art, Oil on canvas, Oil paintings, Painting and tagged 21st century American painters, 21st century art, American creative genius, American painters, American portraitists, Amerindian cultures, Contemporary American art, Contemporary American portraiture, Ennobled of spirit, First Nations Peoples, First Peoples, Proud women, Shoshone, Uplifting contemporary art. Bookmark the permalink.